Reliability of our research results is top priority for each of us. Therefore we carry out regular quality controls. In addition to annual inspections, authorities may take random samples at any time. Our staff is always kept up to date with the current regulatory requirements and continuously attending advanced education as, e.g., hygiene and safety trainings according to GLP, GCLP. Beyond compliance with regulations, we demonstrate performance quality by distinctive expertise. Since research proceeds rapidly, we continuously visit seminars to get acquainted with most recent scientific development and technological innovations. Please convince yourself of our high quality standards by taking a look on our Quality Management Systems (QMS). GLP compliance: TPL Path Labs is one of the few privately owned European histology and pathology laboratory, which operates a quality system in compliance to GLP regulations. GLP regulations originated from OECD GLP guidelines and thereby TPL offers a quality system recognized by OECD member states. TPL is subject to GLP compliance monitoring programs by national competent authorities, which supports the quality of materials, methods and processes. Medicinal products have to be manufactured in compliance with GLP – next to GMP and GCP – for the marketing authorization application (MAA). GLP compliance: In order to meet US FDA regulatory expectations for nonclinical laboratory studies, TPL Path Labs is currently implementing a Code of Federal Regulations Title 21, part 58 Good Laboratory Practice for nonclinical laboratory studies compliant quality system within the scope of the TPL Path Labs test facility, the site has the stated national (German) GLP compliance for as issued by the national (German) GLP Monitoring Authority. 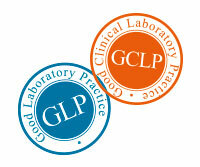 “GCLP-compliance”: TPL Path Labs implemented and maintains several quality-systems and also operates in compliance with the recently published Standard of the European Medicines Agency (EMA), which outlines the regulatory expectations on performing analytical testing or evaluations with human specimen from clinical studies subjects in the context of medicinal products authorization in the European Union.